Older adults are more likely than other consumers to require a trip to the hospital emergency room (ER). Major risks include falls, heart failure, and dangerous fluctuations in blood pressure. But the biggest issue sending seniors to the ER are complications from diabetes, a fact that suggests older Americans are increasingly overweight or obese and are neglecting their nutrition. New research published in Annals of Emergency Medicine also lists heart disease, kidney disease, congestive heart failure, and blood vessel blockage as reasons for seniors to visit the ER. 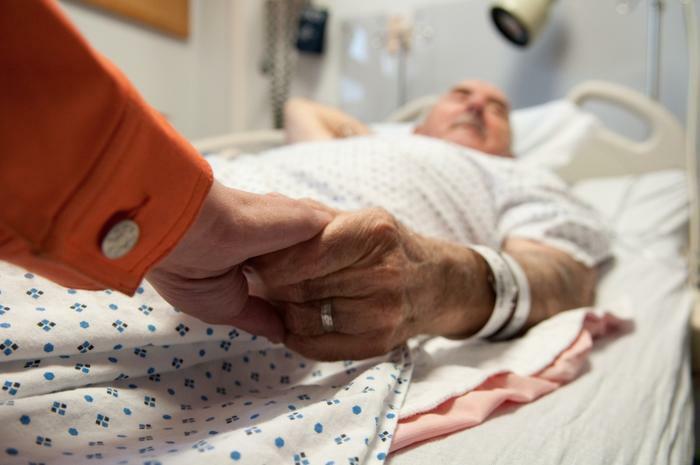 "Efforts to improve care for vulnerable older Americans should focus on enhancing delivery and decreasing utilization," said Edward M. Castillo, an associate adjunct professor with the University of California San Diego Department of Emergency Medicine and lead study author. "Older patients are more likely to have multiple chronic conditions which make emergency care increasingly complex. A better understanding of older patients opens the door for interventions in and beyond the emergency department." A recent study by George Washington University Medical Center found that seniors now account for more than a third of ER visits over the last decade. That study failed to pinpoint a reason for the increase, but it suggested that one possibility could be that people are living longer and are subject to more chronic ailments. In the Annals of Emergency Medicine study. diabetes complications are cited as the reason for ER visits more than 25 percent of the time, followed by chronic pulmonary disease at 21.5 percent. Nineteen percent of ER visits by seniors are caused by kidney disease, while congestive heart disease is responsible for 16 percent of seniors’ trips to the ER. Seniors made up about 15 percent of the population but accounted for 21 percent of health care spending in 2012, according to the Agency for Healthcare Research and Quality (AHRQ). The Centers for Disease Control and Prevention (CDC) reports that seniors account for more than 15 percent of emergency visits nationwide. According to the American Diabetes Association (ADA), more than 25 percent of the U.S. population over age 65 suffers from diabetes, with aging cited as a significant risk factor. When the disease affects older adults it is linked to higher mortality rates, reduced functionality, and the increased risk that the patient will require early nursing care.